An introduction to teaching the classroom. 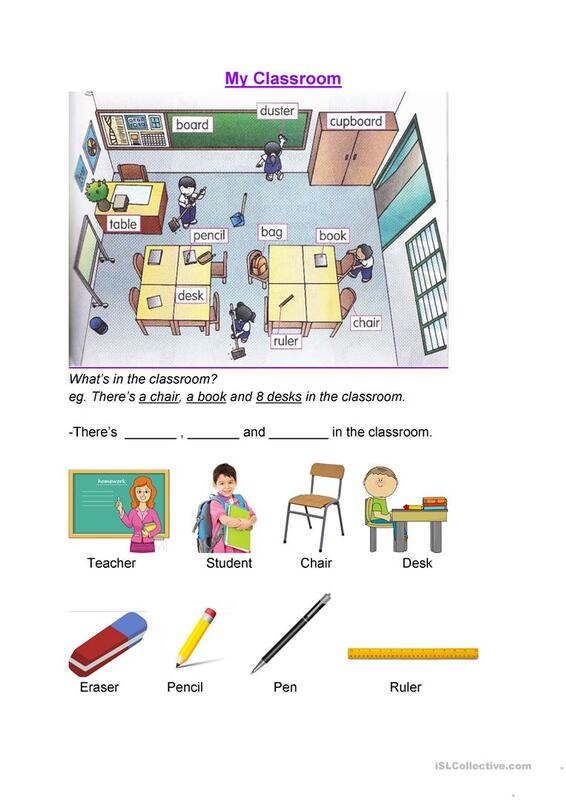 Has a basic classroom picture, different objects to be found in the classroom, we well as introducing the people in the classroom. Exercise to construct a simple sentence structure in response to a question. This printable, downloadable handout is intended for elementary school students and kindergartners and nursery school students at Beginner (pre-A1) and Elementary (A1) level. It is great for practising Word order in English, and is a valuable material for improving your learners' Speaking skills. It is focused on the vocabulary topic of Classroom. Savannah12345 is from/lives in Germany and has been a member of iSLCollective since 2018-07-10 11:33:48. Savannah12345 last logged in on 2018-09-11 13:38:10, and has shared 1 resources on iSLCollective so far.